Amatic Industries (Amatic for short) is an Austrian soft and hardware gambling provider that started working in 1993. Over the last 24 years, the small family-oriented company morphed into a powerful market player exporting 90% of the products to Europe, a member of AGEM and other international igambling organizations. As the company was founded during the “land-based casinos” era, gambling hardware had always been its top product. 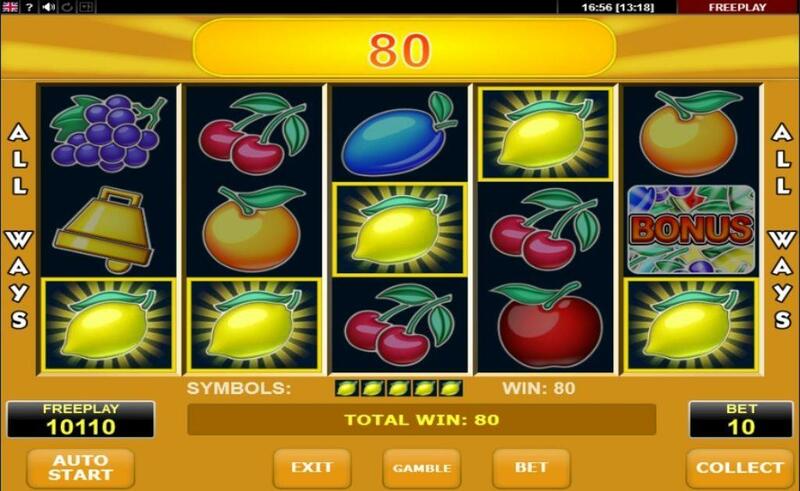 Even nowadays, when the Amanet software line (mobile-friendly games) became popular, Amatic is still among the major manufacturers of multiplayer systems, lottery terminals, and other gambling hardware. Amanet games support 7 European languages (Spanish, English, Turkish, Russian, Finnish, Bulgarian, and German). Amanet games are based on HTML5, so those are fully mobile-friendly. Amatic slots have the “Gamble” feature, so after every win the player may use it to multiply the amount by 2 or 4. To win the multiplier, the gambler must guess the card’s suit color (x2 multiplier) or the suit (x4 multiplier). The autoplay starts and ends once the gambler hits the “Auto Start”. However, it’s impossible to set the number of auto spins. The gambler can set the bet size using two ways. Either to hit the “Bet” button in the bottom of the slot or to open a “Bet” menu (another “Bet” button in the bottom right-hand corner). There’s no background audio. It only appears after a winning combination and during the bonus game. Currently, Amatic portfolio has more than a hundred high-quality games. We’ve chosen 5 most successful. Each of those will adorn a modern online casino and will become the audience’s favorite. You’ll only have to pick the one (or more) that speaks to you. A beautiful fantasy slot that transforms a gambler into a noble knight saving the princess from the charmed castle. 5 reels and 10 paylines. “Book of Fortune” would be an ordinary slot if it hadn’t had the super bonus symbol, a book that is both a scatter and a wild. If the gambler collects 3 or more books the bonus game will be activated. And it will be the signature Amatic bonus round. The random bonus symbol is generated before the start and when appearing it fills up the whole reel and activates the paylines. If during the bonus round that symbol forms a 5 slot line the whole field will be filled up with one symbol and the gambler will get a super win. This slot is the 4th in our list not only because of the beautiful design and unusual naval theme but also due to several unique (and profitable) features. The first one is a double scatter. If 2 or more cannons (which are scatters) appear, the gambler wins. But if those cannons are combined with the wild (admiral’s picture) each wild will multiply the amount by 2. The second one is an ability to get more bonus spins. If the gambler collects 3 ships, the bonus game will be launched (10 free spins), but if during the free spins 3 more ships appear, the player will get 10 more spins, and the bonus round will last longer. So there is a fair chance to get not 10 but 20, 30, 40 or more free spins. 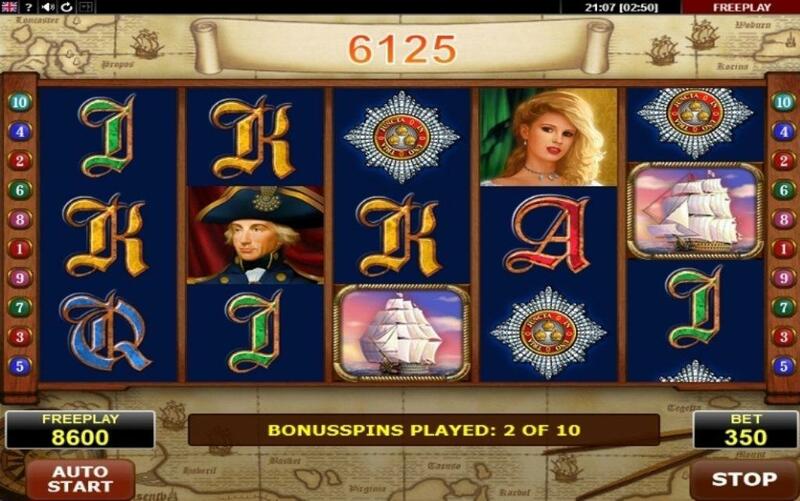 That’s why Admiral Nelson, a sophisticated 5 reels slot with 10 paylines, is one of the best and most popular Amatic slots. Another part of a “book series”. 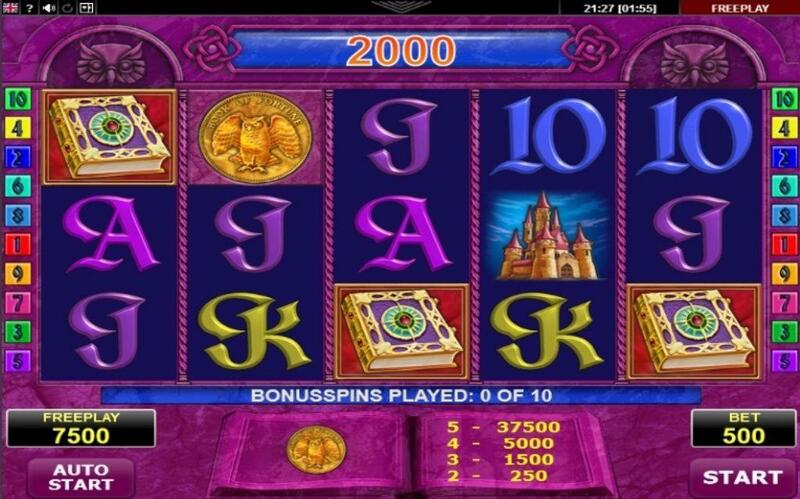 This slot also has high variability, 5 reels, and 10 paylines just like the “Book of Fortune” does. The bonus symbol (a book that works as a scatter and a wild) and the super-bonus filling up all the reels during the free spins also remain the same. The slot is known for its atmosphere that is kind of similar to the “Indiana Jones” movies and its classic elegant design. The operator should get the “Book of Aztec” because a “book series” is super popular among the gamblers (otherwise Amatic would just stop launching new “book” slots) and everyone just chooses the perfect match. “Book of Aztec” placed third because it has probably the greatest amount of fans. 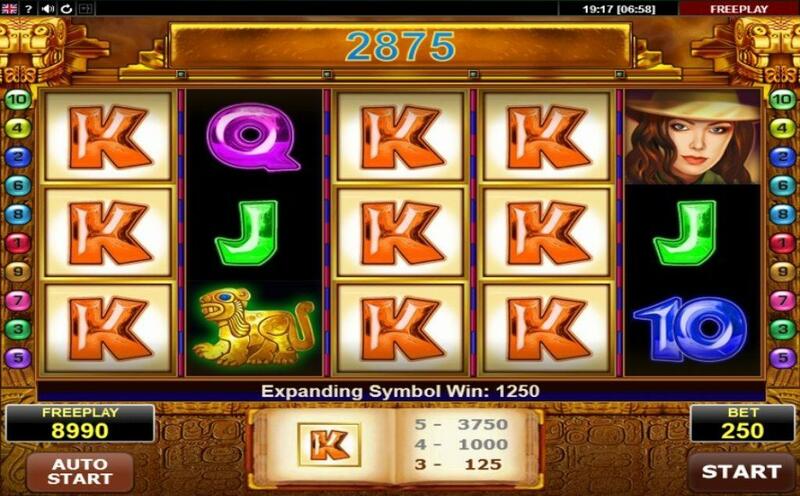 Other “Egyptian” slot? Yes! But it’s worth it! You open it once and you immediately understand that this game is unique. Let’s start with the reels. The number of slots in each reel isn’t even. The rightmost and the leftmost have 3 slots, the reels next to those have 4 slots and the central one has 5 slots. The unusual design attracts gamblers as the ordinary square slots become boring very quickly. The second schtick is 720 paylines! 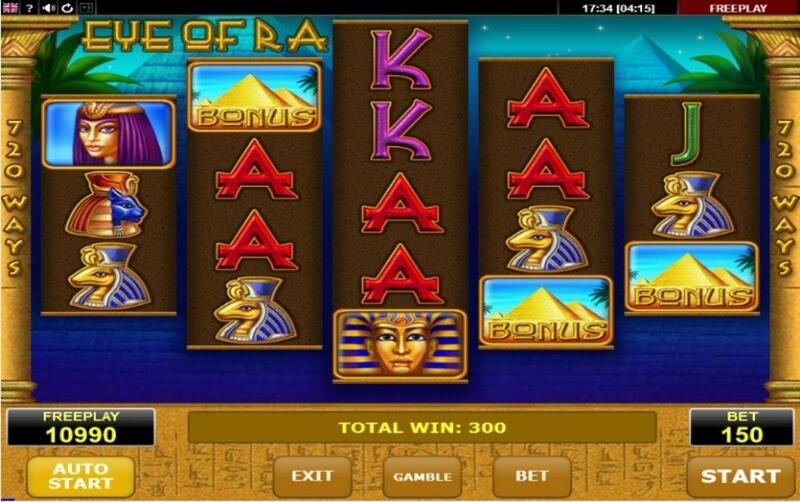 “Eye of Ra” is one of those slots that bring you win almost with every spin. The third lure is an exclusive bonus game. If the gambler collects 3 golden pyramids the free spins mode will be launched. The central reel will become a giant wild symbol, which will help to increase the number of winning spins and the prize amount. Who doesn’t want to play that kind of game? Every game in this list has its own flavor, it’s own face, but “All Way Fruits” beats them all. This might be the only Amatic slot that has no paylines. The gambler will win if the same fruit symbols appear on 3 or more reels one after another (the symbols may be placed on different lines). The x2 multipliers appear frequently and bring extra profit. The free spins round is activated by 3 or more “Bonus” symbols. The more symbols appear the more free spins the gambler gets (3 bonuses bring 7 spins, 4 bonuses — 10 spins, 5 bonuses — 15 spins). And the retrigger (an ability to restart the free spins) will be the final reason to try “All Way Fruits” for those who aren’t sure. Once Amatic started to produce gambling soft, the leading developers, designers, and gambling experts do their best to make all the games special and interesting. And it’s working! Unique functions and game modes, multilingual solutions, professional tech support, and white hat cooperation methods enhance an image of a reliable and trustworthy provider. During the last 5 years, Amatic has gained more visibility on European markets and probably is going to continue doing that in 2018. So why not to transform this soft provider into an exclusive partner of your casino and beat the rivals? And with Softgaming’s “Slots Bundle” service it’s easier than ever! Just book a demo (it will take just a few clicks) and add the top slots from the 20 most popular soft providers into your casino’s portfolio.